Need to change your engine air filter? We are a team of ASE certified mechanics that have created this guide to help you save money when doing the job yourself or at least see what you are paying for when having the job done. Let's jump right in. 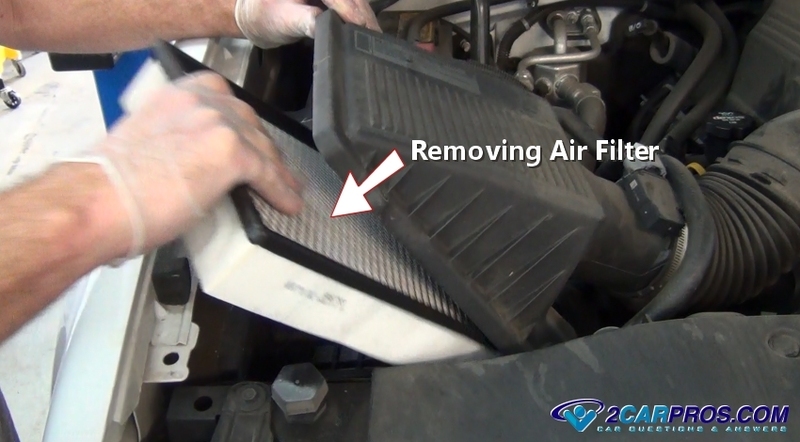 A vehicle's engine air filter is a replaceable cleansing unit. This filter should be changed between 6,000 and 12,000 miles depending on how dirty your roads conditions are. In most cases this filter can be replaced in under 10 minutes. 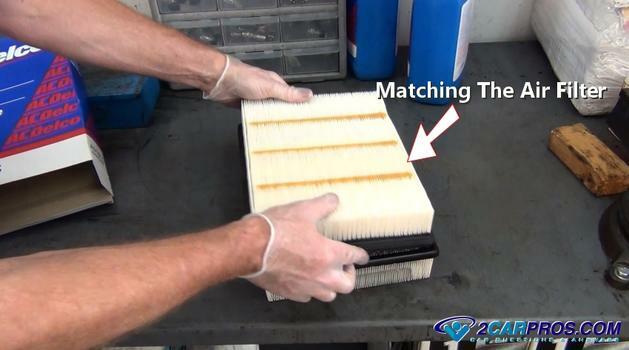 There are many levels of quality when it comes to air filters. We recommend that you get an OEM (factory) unit. It costs a little more but its the best way to protect your investment. 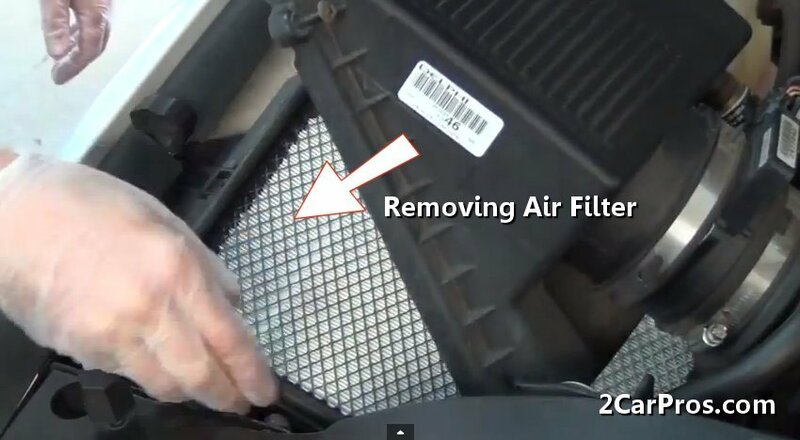 If you choose a cheaper filter you maybe allowing dirt particles to enter the engine which can cause premature wear. 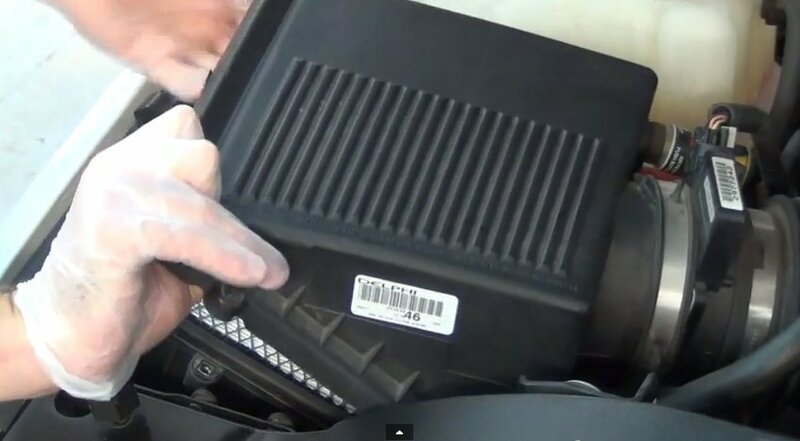 Locate the air filter which is connected to the air intake tube that comes off of the throttle actuator of the engine. Most of the time the air filter housing will be located either on the right or left side of the engine bay and mounted to the fender or on the engine itself. There are a series of screws or clips that holds the upper lid to the lower half of the housing. The air intake boot may need to be removed or loosened to help in the removal of the filter housing lid. Once all of the hold down bolts or clips have been removed or released gently pull up and remove the lid to expose the filter. After exposing the filter reach into the housing and grasp it. Sometimes it can be stuck in the housing due to the filter seal which is made of rubber and has been pressed into place by the housing lid. If the filter is stuck use a standard screwdriver it break it loose this will aid in its removal. Grasp the filter as you remove it and hold the housing lid upward to make clearance for the removal. 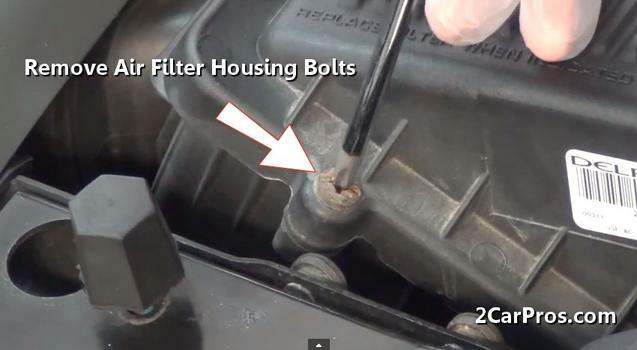 If you notice engine oil on the old filter and in the housing itself this can be caused by two different reasons. 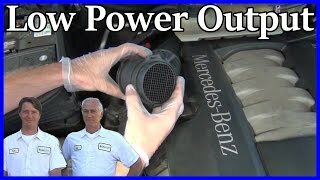 The first is that the PCV (positive crankcase ventilation) system is plugged or broken. This system features a PCV valve or diaphragm. When the system is not working it forces crankcase pressure and oil onto the air filter. The second reason is that the engine is worn out and the positive crankcase pressure is too excessive and beyond the systems capabilities. This condition is due to worn out piston rings (blow-by) which overpowers the PCV system. 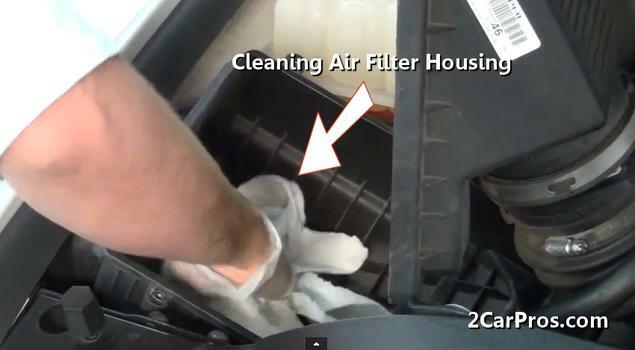 Once the filter has been removed clean the housing with a damp shop towel or compressed air. This ensures that any debris that has been knocked into the housing when the filter was removed will be cleaned out before the new filter is installed. This is necessary to keep loose dirt from entering the engine intake. Remove the new filter from the box. We suggest using OEM replacement parts for quality and a proper fit as you know. To determine if your air filter needs to be changed gently tap it on the ground while watching for dirt and particles coming off of the filter meaning it is filled to capacity and replacement is required. Now match the new filter to the old unit they should be an identical in length, height and thickness. When installing the new filter use caution as not to bend or disfigure it in anyway. This could cause the filter to not seal completely within the housing. 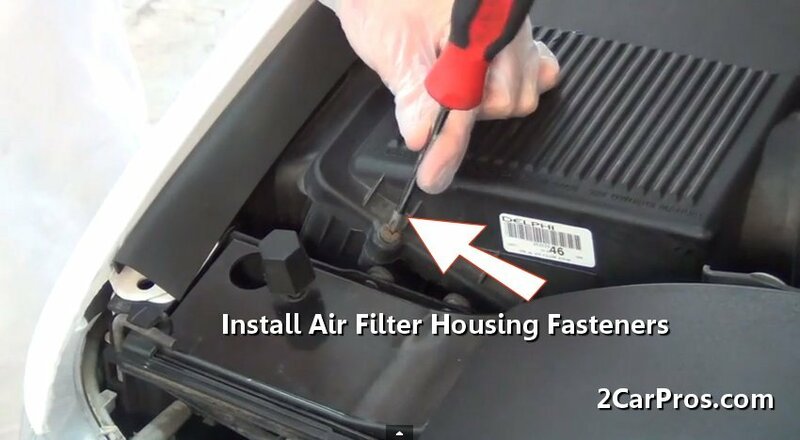 Make sure to hold the lid of the filter upward to aid in the installation. 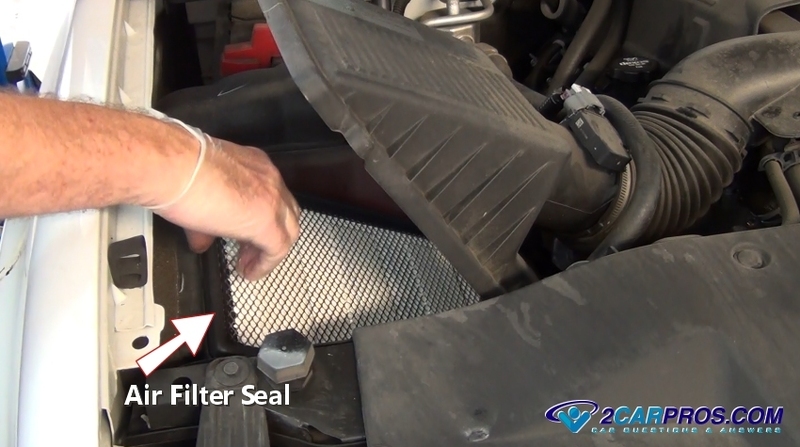 When installing the new filter confirm a positive placement by checking at the seal point of the filter to the housing then install the lid or cover. It's important that the seal of the filter is not cut or crushed due to improper installation. It's worth taking an extra few seconds to do the job right or it will leak unfiltered air into the engine. Lower the lid and start tightening the mounting screws or installing the clips. You want to do this in a cross pattern. This will help the lid seal squarely into the new filter. Now you are all set. You did the job right while saving money and ensuring a top quality replacement part. We always like to wipe the filter housing off with a shop towel when complete. This makes us feel that the job was done to the best of our ability. 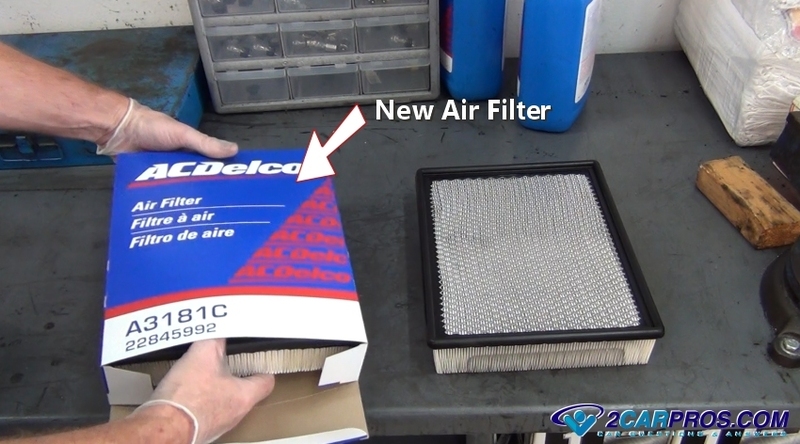 Please watch the video below to get an idea of what you are in for when changing an air filter. Though configurations may vary the process is the same on most vehicles. 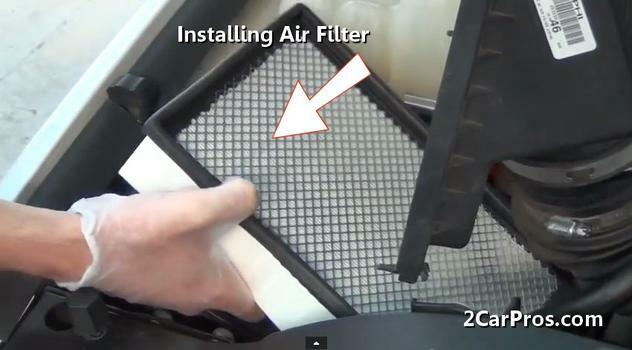 Here is a list of our air filter replacement videos at our 2CarPros YouTube channel. Some basic tools are needed and of course the replacement filter which is available at the local parts store or Amazon. 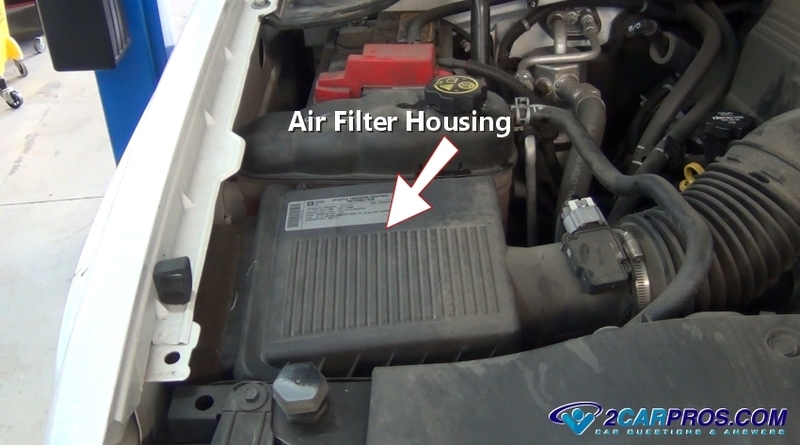 When the air filter plugs up due to non-maintenance it causes low engine power. Replacing this filter should be included in your regular maintenance regiment of changing the engine oil or doing an engine tune up. If you have any question please visit our forum where hundreds of air filter questions have been answered by our experts. There are various tools and supplies you will need throughout this article. We have created a list for you which are easily obtained if you do not have them already. You will also need replacement parts. We have created a guide that will inform you as to where to go to get the best deal and quality. If you need more information about what you have just read please ask one of our mechanics, we are happy to help.